Former NBA basketball star Karl Malone always dreamed of driving a big rig. When he finally got his wish, he compared the experience of controlling the massive semi to the exhilaration of making a line drive on the basketball court. Malone is not the first person to relish being behind the wheel of a semi-trailer. If you love the thrill of the big-rig, you should be aware of the challenges that come with the joys. And when injury or death is the result of driving the rig, an attorney experienced in truck accidents can help to bring some level of comfort to you and your loved ones. Nearly two-thirds of fatalities occurred on major roadways other than interstates. Ormond Beach was the scene of a fatal crash in July 2016, when a semi-truck hauling heavy equipment experienced tire-tread separation, causing the driver to lose control and smash through a guardrail. The trailer broke loose, rolling into northbound lanes on Interstate 95 and hurtling into another semitrailer, spewing debris everywhere. A semi driver and three others were killed on US 89 in July 2016 after a bus ran a red light and struck the tractor-trailer. Miramar police reported the death of one person in October 2016, after a tractor-trailer collided with a pole in the median. What Makes Big Rig Driving so Dangerous? Eighty-seven percent of truck accidents are due to driver fatigue. The US Department of Transportation (USDOT) has issued stringent rules to impact this statistic. Drivers are now required to take a half hour rest break sometime during the first eight hours of any shift. Another restriction essentially reduces the number of driving hours per week from 82 to 70 hours. The rule limits drivers from using the “restart” (34-hour rest) to once each seven days, and requires a minimum of two rest periods between the morning hours of 1:00 and 5:00. If you or a family member has been involved in an accident with a big truck, the possibilities for injury and death are high simply due to the size of the truck. 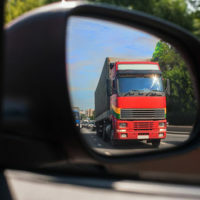 Whether you were in the big rig or another vehicle, the experienced truck accident team at The Law Offices of Robert W. Elton can provide the support you need as the case is investigated and moves through the courts. Contact us today in Daytona and Ormond Beach for a confidential, no-cost consultation.